It looks like things might not be as rosy as they looked over at Palm post-acquisition after WebOS UI designer Matias Duarte has defected to Google to become Director of User Experience for Android. Duarte’s move will see him team up again with current Android leader Andy Rubin, the duo helped to build the innovative Danger Sidekick earlier in the decade. Rubin will be hoping that Duarte will be able to the same for the Android operating system as he did for Palm and Sidekick, helping to incorporate improved design elements and possibly bringing symmetry to stock builds of Android that currently lack any sense of cohesion. Google’s gain is Palm’s loss, especially as it looks to build WebOS into HP tablets, smartphones and even printers. There is no question that HP will have a raft of talented designers to fill the gap left by Duarte but they won’t (at least initially) have someone who has such an intimate knowledge of the operating system. 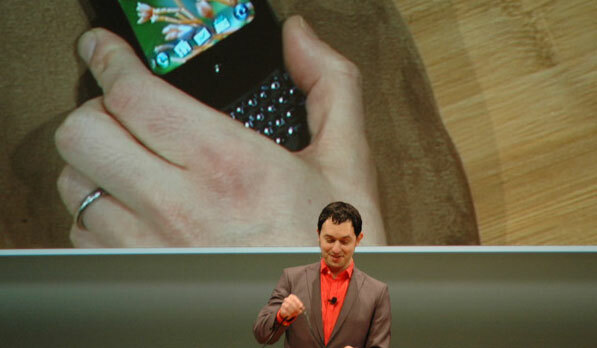 For example, when Palm unveiled WebOS at CES 2009, it was Duarte who led the discussion on the WebOS design. Google’s appointment of Duarte will leave consumers expecting big things and based on past results I’m pretty sure we won’t be left disappointed.